The Jim Henson Company, an innovative leader in family entertainment for over 60 years, has signed a new five-year agreement with graphic novel and comic book publisher BOOM! Studios to develop and publish at least seventeen new titles for its beloved classic brands, The Dark Crystal, Labyrinth, Fraggle Rock and The Storyteller. An earlier agreement between The Jim Henson Company and BOOM! Studios resulted in the publication of twenty new titles under its Archaia imprint for the four brands, including The New York Times Best Seller and YALSA-nominated Jim Henson’s The Dark Crystal: Creation Myths; and two Harvey Award-nominees, Jim Henson’s Fraggle Rock Classics Volume 2, for Best Domestic Reprint, and The Storyteller: Witches #4, for Best Single Issue or Story. Additionally, Jim Henson’s Labyrinth Tales won The Diamond Comic Distributors Gem Award for Trade Book of the Year. Also, to celebrate this year’s 35th Anniversary of The Dark Crystal movie release, Archaia began publishing an official sequel, a 12-issue comic book series titled The Power of the Dark Crystal that picks up long after the events of the original film. 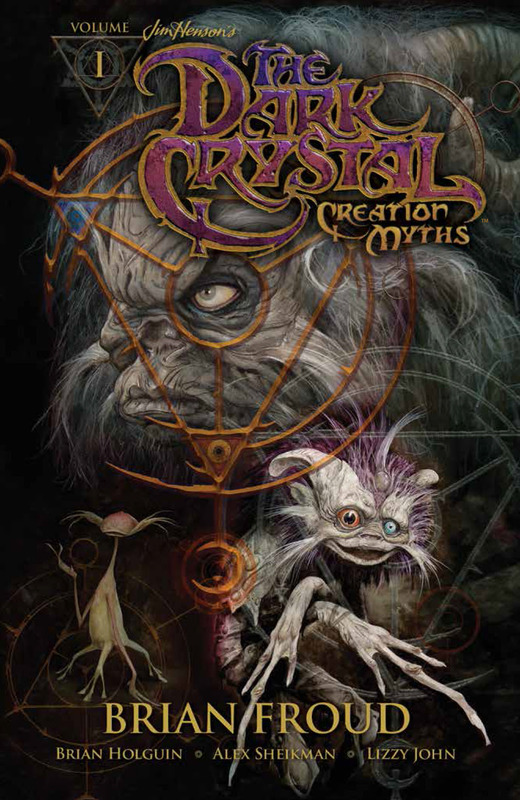 Most recently, it was announced that Jim Henson’s The Dark Crystal Tales, a children’s book by acclaimed writer and artist Cory Godbey (Have Courage, Be Kind: The Tale of Cinderella), will be released this summer. The publication is a follow-up to last fall’s best-selling Jim Henson’s Labyrinth Tales, also written and illustrated by Godbey. Directed by visionary Jim Henson and executive produced by George Lucas, Labyrinth is a fan favorite and wonder of puppetry. Stuck babysitting her brother, teenager Sarah resentfully wishes the Goblin King (memorably portrayed by David Bowie) can take him away. When her wish comes true, Sarah must head into the Labyrinth herself to save him. Since its 1986 release, the film has become a fan-favorite and is still reveled in today’s era as a timeless classic. The Dark Crystal, directed by Jim Henson and Frank Oz, brilliantly weaves a timeless myth of good and evil. In another time, the Dark Crystal, a source of balance and truth in the universe, was broken, dividing the world into two factions; the wicked Skeksis and the peaceful Mystics. Now, as the convergence of the three suns approaches, the crystal must be healed, or darkness will reign forever. The Dark Crystal’s fanbase has only risen since the film’s debut, and the film has also developed a devoted following across the world. From creative genius Jim Henson, Fraggle Rock stars a cast of puppet creatures called Fraggles, quirky cave-dwellers who live in an underground world alongside their industrious green neighbors, the Doozers, and a family of enormous Gorgs. The series follows the fun adventures of the furry subterranean creatures and features a unique mix of music from all genres including folk, blues, gospel, country and rock, all while embracing themes of friendship, tolerance, diversity, and caring for the planet. With 96 episodes, 100 original songs and millions of fans around the world, Fraggle Rock has been seen in over 98 countries. The anthology series, The Storyteller, features both human actors and creations from Jim Henson’s Creature Shop in this retelling of classic folk tales, fables, and legends. The series stars John Hurt in the title role. Aided by his cynical dog, Hurt narrates fascinating tales that combine humor, intrigue, and magic.